Bibles seized, BSM leaders temporarily detained. KUALA LUMPUR, Malaysia (Morning Star News) – Calling this month’s raid on the Bible Society of Malaysia (BSM) “a flagrant violation of religious liberty” via his website, the director of a Christian research institute in Malaysia said the agency that arrested two BSM officials has produced no evidence that the BSM violated any law. Aided by police, the Selangor Islamic Affairs Department (JAIS) on Jan. 2 raided BSM offices in Damansara Kim, near Kuala Lumpur, without a search warrant, causing an uproar in the Christian community and among opposition lawmakers and civil society groups. JAIS did not provide reasons for the raid. The religious agency was purportedly acting under the Selangor Non-Islamic Religions (Control of Propagation Among Muslims) Enactment of 1988, which prohibits non-Muslims from using more than 40 religious terms, including “Allah,” an Arabic word that also serves as the Malay word for God. The word “Allah” appears in copies of the Bibles that were seized during the raid. Ng Kam Weng, research director at the Kairos Research Centre, emphasized on krisispraxis.com that JAIS needed to produce evidence that the BSM had violated the Enactment in propagating another faith to Muslims in order to justify the raid – something it has failed to do. 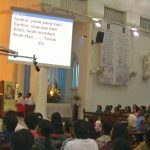 In the 10-point solution, the government had assured Christians in East Malaysia that they were free to print and import Malay-language Bibles for their Christian practice. 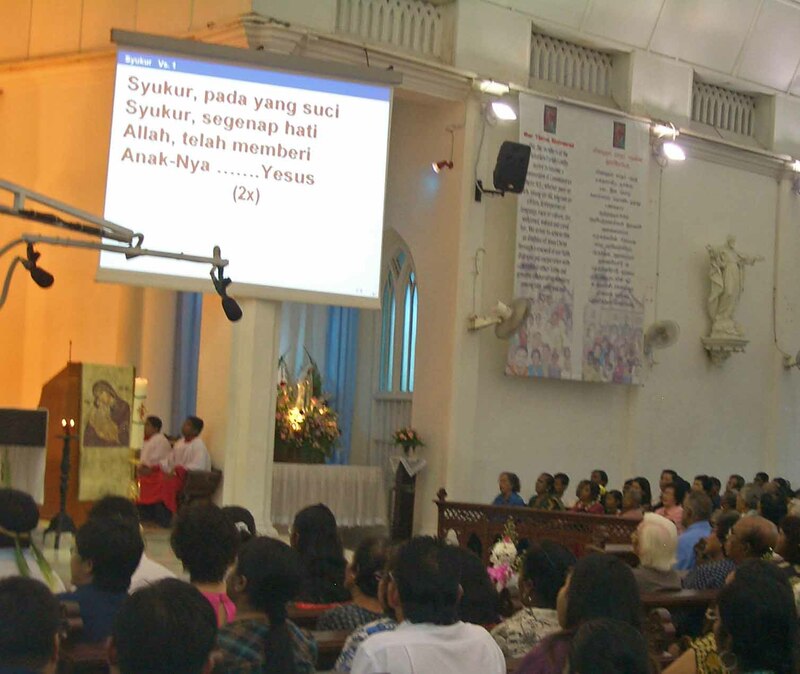 The solution also allowed Malay-language Bibles to be printed or brought into West Malaysia so long as they bear the symbol of the cross and the words, “Christian publication” on the front cover. During the raid, JAIS confiscated 330 Bibles – 320 copies of the Malay Bible and 10 copies in Iban, an indigenous language. JAIS also detained BSM President Lee Min Choon and office manager Sinclair Wong for questioning at the nearby Damansara police station. Both were released on bail after two hours without charge, but police instructed them to present themselves for further questioning by JAIS on Friday (Jan. 10). JAIS is a state religious agency under the purview of the Selangor Islamic Religious Council (MAIS), which was established to aid and advise the sultan, who is the head of Islam within the state, on Islamic matters. Both MAIS and JAIS have no jurisdiction over non-Muslims. In an attempt to resolve the issue, both Lee and Wong of the BSM met with JAIS’ officers on Friday (Jan. 10) as instructed by the police, though The Malaysian Insider reported that Lee said they went “voluntarily.” Lee told the newspaper that no one at the meeting with JAIS had forbidden them from continuing to import and distribute Bibles, and that officers only asked about their origin and distribution. Lee had also suggested that blame for the raid and Bible seizure should go to the Selangor state government since JAIS is a state agency, and he urged the state government to endorse the 10-point solution issued by the federal government to resolve the issue. The raid on BSM came in the wake of a statement made by the Rev. Lawrence Andrew, editor of Catholic newspaper The Herald, to The Malaysian Insider on Dec. 27 saying Catholic churches will continue to use the word “Allah” in Malay-language worship services despite the Sultan of Selangor’s recent decree banning non-Muslims in the state from doing so. Both the minister who announced the 10-point solution, Idris Jala, and the prime minister have remained conspicuously silent since the raid. “To allow one religion to be able to monitor and regulate how another religion is to be practiced is a distasteful recipe for disaster,” said the Rev. Eu Hong Seng, chairman of the CFM. A number of local observers and Christian leaders disagreed with Lee on how the issue can and should be resolved. They argue that the 10-point solution is merely an administrative document issued by the federal government. As such, many in the Christian community are eagerly waiting for the outcome of a hearing by the Federal Court, which on Feb. 24 will decide whether to allow an appeal by The Herald to use the word “Allah” in the Malay-language section of its publication that is circulated among church members. “JAIS had gone overboard by seizing the Malay-language Bibles from BSM, as the body was clearly set up to publish and distribute Bibles to Christians,” human rights lawyer Andrew Khoo reportedly said. Sunni Islam is the official religion in Malayia, whose population is 62.6 percent Muslim, according to Operation World. Christians make up 9.4 percent of the population.